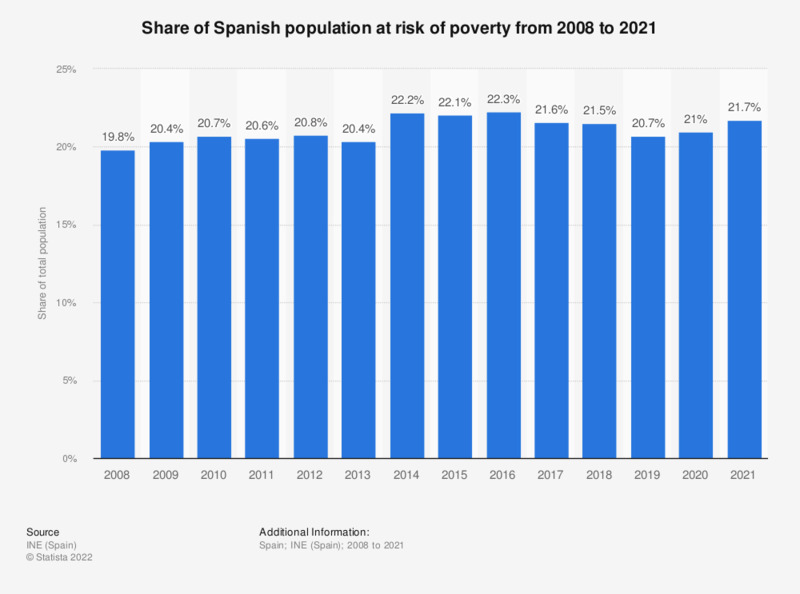 This statistic displays the share of the Spanish population at risk of poverty from 2009 to 2017. During the period of time under consideration, the share of population at risk of poverty increased moderately, ranging from 20.4 percent in 2009 to 21.6 in 2017. That same year, the age group at the highest risk of poverty was that between 16 and 29. Share of people whose previous year income are below the poverty threshold.